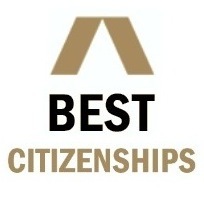 Best Citizenships (BC) is an online platform and comparison site for Citizenship and Residence by Investment Schemes (CRBI). Proudly serving the CBI/RBI industry since March 2011. Over the years, we have assisted very wealthy HNW clients and families in global residency and citizenship solutions. We work with Government authorized agents, law firms and real estate developers across 30 countries. Almost Half of the world countries have worst passports, restricting mobility and travel freedom for its citizens. Visa restrictions affect millions of people worldwide, impacts tourism and business and these industries have lost billions of dollars with slow growth. Wealthy people and their families also go through this time consuming process. The rich and the wealthy are looking to have a second passport with alternative citizenship in their portfolio. In a survey, one in three wealthy persons already hold a second passport and another third are considering to acquire one. CBI industry is already worth $5 billion and RBI industry is double the size of CBI which is worth $10 billion in 2018. Both the CBI/RBI industries are expected to grow to $20 billion by 2020 and have contributed significantly to economy of Portugal, Greece and Cyprus to recover from debt and increase in surplus.